Two weeks from the very moment I am writing this, I will be on a plane somewhere over the North Atlantic awaiting a landing in Keflavik for another Fanfest. We are deep into election season, CSM9 is very nearly in the can and yet here we are with what is probably the biggest week of our term. Whilst I like the technical advantage provided by spreading fights around, as others have mentioned, I am concerned about FC-overload. Bloc-level FCs already have a lot to deal with and this only increases the pressure and inputs to them. Yes, it will encourage more low-level FCs but it may actually reduce the number of top level bloc FCs in the process. But maybe this is something that the community needs to work out, evolve and adapt, dunno. Not a bloc-level FC here. There appears to be a HUGE difference between the T1 and T2 Entosis Link variants. 5 mins vs 2 mins and 25 km vs 250 km. Given that the price difference isn’t that high (20m vs 80m approx. ), how is this difference achieved in a practical way? If it isn’t cost, is it an SP thing? I can only imagine the skill reqs for the T2 variant are going to be infinitely higher but I’m not sure Informorph Psychology V vs I would be enough to justify the huge difference, particularly in distance. Given that the TCU exists ostensibly only to put your name on the map, was there any thought given to removing it as a structure and simply integrating the ‘name on map’ functionality into the iHub? Given one of the points of this new system is removing grinding but also given that pretty much everyone I’ve spoken to does consider it imperative that the ability to put a name on a map is vital, keeping TCUs around in this new structure does seem a little arbitrary. I genuinely think we could cut SBUs and TCUs now. I wonder how much thought has been given to the prevalence of bubbles in the new system and the importance of nullified T3s and the like. Especially the likes of Interceptors which become boss mode in an environment like this with a T2 Entosis Link strapped on. I very much like that the strategic defensive bonus is substantially less than the two ‘active’ bonuses. I note that other active bonuses could be added to the system. Would the other bonuses be reduced to achieve the same final 4x bonus? I know I’ve mentioned it before but I’ll mention it again – this new system is a huge nerf to supers and titans and one could argue that between the fighter nerf and the jump nerf, these two were already in a bad spot. Now I spoke to Fozzie about the TCU thing and he very deliberately wanted to keep the ‘name on a map’ and ‘system indices’ structures and functionality separate which, upon thinking further, I have to agree with. The defensive bonus issue was addressed in the final dev blog. As Fozzie says, so much of this new system is malleable and can be quickly and simply tweaked to taste. My concerns with the differences between T1 and T2 Entosis Links, bubbles, caps and above and FCing still exist. That said, I am very positive about about this new system. I have some worries but overall, I am a huge fan of the design ethos behind these changes and the direction they are trying to take 0.0. I’m sure I’ll have a lot more to say in due course but I am very interested to hear what you all think in the comments below. I’m not going to spend any more time discussing new sov in this report for two reasons. 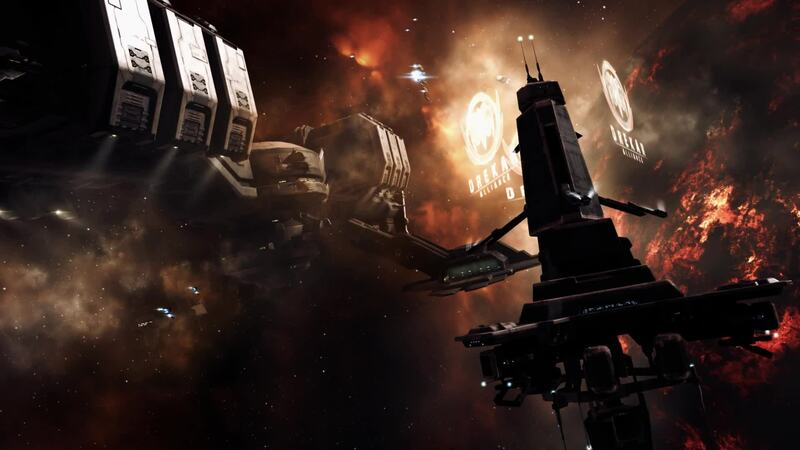 Firstly, I think the community needs some time to digest these monumental alterations to some of the most fundamental game mechanics underpinning Eve. There is always going to be a period of hyperbolic reaction that takes some time to settle out and trying to make arguments either way during that time is folly. Secondly, you will be hearing a lot more from me and others here at CZ in great detail in the coming days and weeks and you already have a lot to take in as it is. So that will do us here for now. Lots more to come!